NetBet Review - Meta Score 925.8 - daily bonuses and a whole lot more.. Established in 2001, NetBet casino has its headquarters in Malta and serves a predominantly European market (including the UK. After all, we are still part of Europe!). With its Casino, Sports, Slots, Table & Cards, Jackpot, and Live Casino sections, and with more than 320+ games between them, finding games you like is never a problem. I’ve spent a decent chunk of time playing each section – with a special focus on the slots, which in my opinion are awesome! So here’s what I found out.. Brilliant! As far as first impressions go, I think this is my all-time favourite casino. It just looks amazing. It’s slick, clearly boasts the latest technologies, has excellent graphics, and is well-laid out. Whoever made the website is indeed a fantastic designer with a great eye for detail. And, they most certainly did focus on the details. One thing I noticed is its easiness on the eye and I mean literal easiness. Most casinos are very bright, and consequently the glare hurts my eyes because I have photophobia. You might not understand this if your eyes don’t hurt easily, but some of you know exactly what I’m talking about. Another thing I noticed straight away was the mention of the payout rate, which is 96%. I think it’s great that they mark it so clearly, because with some other casinos, you have to dig around to find the return to player rate. Overall, an excellent first impression. Very user friendly. 1. It’s difficult to play for practice. It took me a while to find out how to do it, which involves visiting the site on a desktop and opting to play before signing up. Once you’ve signed up, you can’t play for practice (or at least, I didn’t find a way to do it). This is a bit annoying, because I like to test games before I play. 2. You have to give quite a lot of personal information before they allow you to play. This is typical of a casino, but something that universally annoys me because I prefer giving information only at the first withdrawal. I’m sure you’ll all agree: that’s a fantastic selection. Most casinos offer five or six at most. Another good thing about the sign up process is that they don’t require you to verify the account. I like that, because it means you could potentially give a fake email and practice play with one of the welcome bonuses. We can’t, of course, endorse doing this, and you won’t be able to pocket any winnings because they’ll ask you to verify, and if you’ve given a fake name, they’ll obviously not honour the payout. Talking of welcome bonuses, the ones we saw during our Netbet Review were great. They match your first deposit 100%. They also do that rare thing of allowing you to opt out so that you don’t have to play through the wagering requirements, which is good as some people find them frustrating. There are also free spin, referral, and promotional welcome bonuses, so before you sign up, make sure you do a bit of research. Currently, they offer a TV promotional bonus and a free spin bonus, with a referral bonus that’s likely to continue indefinitely. Throughout my time on the site, they offered extra bonuses too. Because I opted into their emailed promotions, I was notified of the bonuses and special offers when they arose. If you opt out, you’ll just have to visit their promotion section every now and again. Expect a wide range of promotions, from free spins to prize draw entry to iPhones, as well as the usual deposit bonuses. One of the things that I love about NetBet is that they give you two different balances, one for real money and one for the bonus. It makes it much easier to work out where you are in your wagering requirements and how much actual money you have to play with/are able to withdraw. Some other casinos do this too, but it’s still rare. Whilst they aren’t the best casino site, they certainly aren’t the worst. I had to use their Live Chat to query an issue with my deposit. It took around 10 minutes to get through, which is a pain, but they kept me informed the entire time, i.e. “You are 3rd in the chat queue. Estimated time left 9 mins”. They sorted the issue quickly, and it’s an issue that will trip many of you up. (Read the deposit section for further information). Depositing is straightforward. You simply go to the cashier, choose a payment option (as listed above), follow the instructions, tell them how much you want to deposit, and press enter. The money then credits your account. However, there is something a bit confusing with this casino, and it’s the reason I contacted their live help. Basically, when you make a deposit, you deposit it into the section of the site on which you’re currently playing. For instance, I deposited on the Casino section and it deposited my account, but when I then went to the Sportsbook section, it said I had £0 balance. I wrongly assumed they were ripping me off, and got in touch with customer services. They weren’t up to no good. It’s just an odd quirk where you have to transfer your balance between the various sections. For instance, if you’re playing on the slots section and you then want to make a bet on the sports section, you need to go to the cashier and choose the ‘transfer’ option to transfer money from your slot account to your sports account. No idea why they do it, but they must have a reason…maybe. Now on to the important part of the site: the games. NetBet offers six different types of game play, and I tried them all, but spent the most time on the Casino & Vegas sections. They offer a great selection of sports betting. They layout is brilliant – like the rest of their site. They arrange the various sports sections logically. For instance, they have sections that show the most popular leagues, making it easy to find the bets that I wanted to make. They also have a section called ‘Top Bets’ that shows you the current hottest bet, and the amount you can win depending on how much you stake. A section that I really liked was the ‘NetBet’ winners section, which really shows you who the big players are. You can choose to look at their weekly, monthly, or yearly top wins. The reason I found it interesting is that there are people with very high stakes. This week, the biggest winner won £66,000, but his stake was £20,000! How the other half live, eh? One of the biggest returns was from a guy who placed a £3,105 (random amount, but there you go) and won £34117.36 – not bad, and a great way to boost your savings! I think we can all agree that they offer a great range of bets. 1. It’s quite detailed. They give you the odds, show you whether they’ve risen or fallen recently, and tell you when the game started and how long’s left. 2. It’s easy to tailor the view so that it suits your requirements. For instance, some people work better in fractions while others work better in decimals. You can flip between them. And, as usual, the Americans can’t use proper measurements, and they get their own view! 3. The betting slip section allows you to work out your bet without you having to do any maths. 4. They tell you about up-and-coming events, so that you can easily plan your next bet. All in all, and alongside its complementary sports section, a great area of the site. This is my favourite part of the site, and where I spent the longest amount of time. If you’ve read any of my other reviews, you know that I’m one that loves the slots and NetBet offers some of the best. • Shuffle Master: they have a really fun slot, called 888 Fortunes. It has an oriental theme, 243 ways to win, four different jackpots, and free spin bonuses. One annoying thing is that they don’t allow you to press spin when it’s totting up a win, and that can take some time if you win big. Although, the irritation is mostly soothed by the big win! The top jackpot is £200,000, so well worth playing if you can afford the £88 stake! The jackpots adjust depending on the bet. So if you bet the maximum, the top jackpot’s £200K, but if you bet the minimum there’s no jackpot. 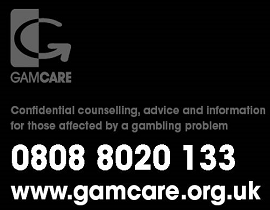 Instead, the lowest bet that you need to make for a jackpot is £0.18 that can win you a jackpot of £20. The bonus feature isn’t that fun. You win free play passes, which is great, but I prefer the active bonuses, where you actually have to do something. Still, I can’t complain when I win 10 free spins. • Cadillac Jack: their game, Alaskan Husky was one of my favourites. It has fantastic graphics. In terms of gameplay, it has expanding wilds, which always makes me feel as if the games payout better because there’s a much greater chance of winning. They also have a free spins feature, but no explicit bonus. Unusually, I couldn’t find a pay table anywhere for this game. I’m not sure if that’s me being silly, or Cadillac Jack forgetting to add it to the game (or maybe it’s NetBet’s responsibility. I don’t quite know. 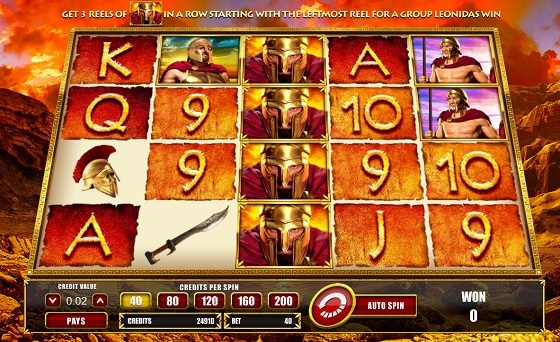 • Incredible Technologies: they only provide one game for NetBet, and that’s Leonidas: King of the Spartans. It’s a lot of fun, but again, there was no bonus game per se. Getting two of the lady (I don’t know who she is, but no doubt she features in Greek history) triggers the bonus game, and you get a lovely mysterious song from her, like a mermaid. I really liked the graphics on this one. If you pay attention, you can see a the beautiful dusk sky moving around in the background. As a game, it’s quite majestic, actually. Oh, and it has auto play, which is great! At one point, the game really scared me. The reels starting spinning like crazy and I thought the game was crashing. I was about to reboot, when Leonidas started chanting, and because I thought the game had crashed, it made me jump! Leonidas’s singing is a good thing though, it signals the start of a big win. We really need to be celebrate NetBet for adding these games. They’ve given obscure game developers a platform, and it’s definitely payed off. The games are of an excellent quality and fun too. Some other highlights of my slot play include Atari Asteroids, which was great for triggering nostalgia as well as a few big wins. Then there was the “Game of the Week”, Dragon’s Temple. This had a special offer whereby you spin a £1 stake and you’re entered into a price draw…which I’ll win, I hope! Tokidoki Lucky Town is also worth a mention, because it’s quite different to other types of slot games in that it has a Japanese anime-type look. It was quite mental and hectic, but really fun to play. One thing I’ve noticed is that quite a large proportion of the games don’t feature an ‘auto spin’ option, which I find disappointing because I keep having to manually click my mouse each time I play. After 100 spins, that can start to feel a little irritating. Of course, this is nothing to do with NetBet, and everything to do with the game providers. Overall, the slots are an awesome part of the site, and definitely worth spending a lot of time exploring. There are hundreds of different games, and some of them have some fantastic little bonus games. This part of the site looks great, and it definitely has better graphics than some of the other live casinos have. 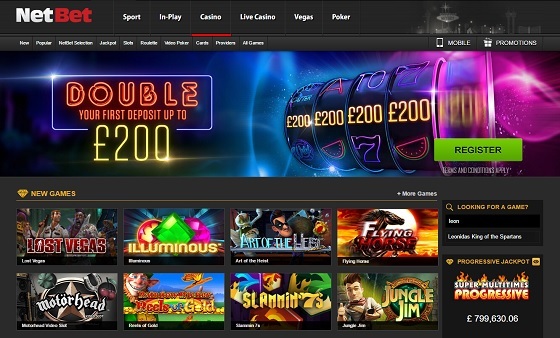 Live Casinos can often have jittery and jumping graphics, but NetBet’s game providers offer smooth play. The selection of games is OK, but it’s not the most I’ve ever seen. However, most online casinos typically only have a small selection of games for this part of their sites. I also found that this part of the site was quite warm for me, and I wasn’t able to lose any money…which I’m definitely not complaining about! It meant more for the slots, woo hoo! In terms of favouritism, this part of the site tied a close second with the casino. They have a fantastic collection of some of the best games on the site. Ah, so many great things to say about it. First, there’s the number of progressive jackpots, 70 in total. 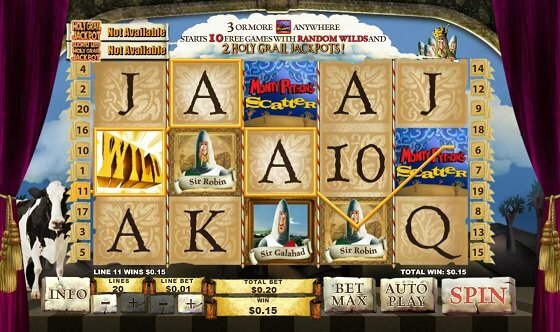 My favourite game was Monty Python’s Spamalot: if you liked the film, you’ll love the game…if you don’t like the film, you’ll still love the game, because it offers one of the highest progressive jackpots on the site, at £1,035,448 and rising fast. The game itself is super fun. There’s a cool intro, with the whole Monty Python opening cartoon and the silly Knight of the Round Table dance. But, the bonus game is the best part, if you don’t mind being squashed by a flying cow. You have to pick a spot and the knights move to the spot, while someone in the castle throws cows at you. It’s all a bit mad. Bit insulting here if you’re French, because at one point they shouted “you throw like a Frenchman”. When the cow finally hits you, all your knights are crushed. I wasted hours playing this game…well, I say wasted, I actually enjoyed it. Some other games I found cool were the Marvel Comic games, such as The Incredibly Hulk and Iron Man 1 and 2, and Space Invaders because naturally, as a child of the ‘80s, it has a cool nostalgic appeal. Yep, this is definitely a place where you can spend a long time if the funds and wins allow it. Their poker section is quite special. First, you have to download their software and then you’re presented with their poker lobby, which offers many, many different types of game and tournament. I wouldn’t be surprised if they become one of the biggest names in online poker…that is, if people can get over the need to download software, which is quite unusual for a casino and I think there’ll be a fair few people put off by the idea. Still, if you can get over it, it’s well worth it. If you like playing poker, you’ll be spoiled for choice. There are some fantastic tournaments and jackpots, as well as some great promotions. I accessed the site both on my desktop PC and my tablet. Both versions of the site are excellent. Of course, the desktop site offers more games than the mobile site, but both sites load quickly and have amazing graphics. As far as mobile casinos go, it’s definitely able to compete with the best in the industry. Overall, an excellent site. The selection of games is great, and they deliver it all in a well-presented and logical way. I really enjoyed playing on the site, and I’ll definitely be back. For me, it ranks up there with the best.